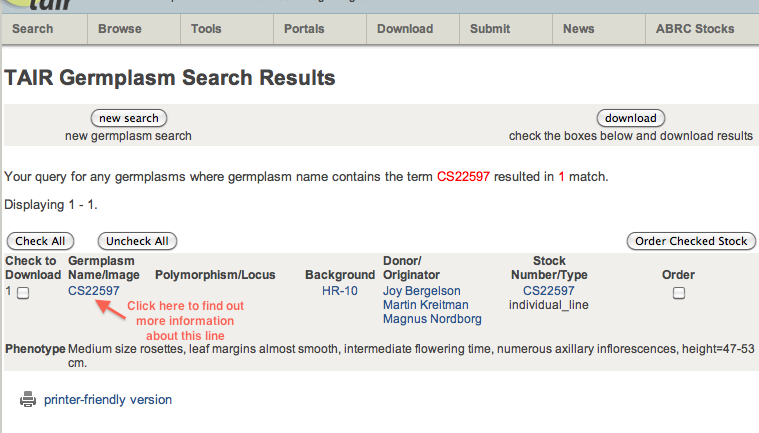 Step 2: The search should return a page that looks like this (for example, we searched for CS22597 here). 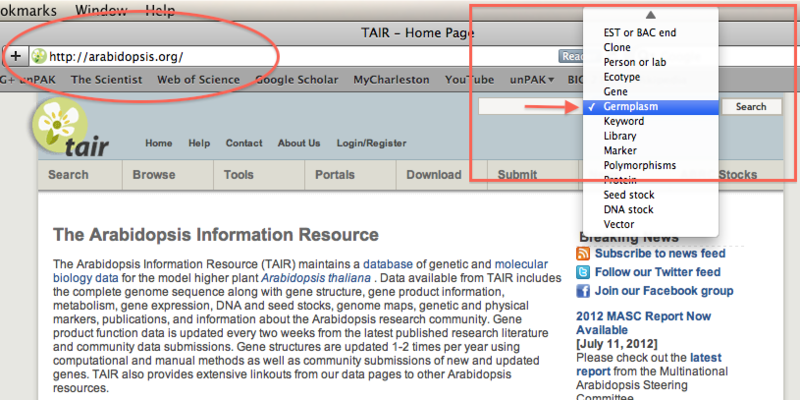 Click the ecotype name as indicated below, it will take you to a page with more information. FYI – the ecotype name is shown here too (in this case it is HR-10). 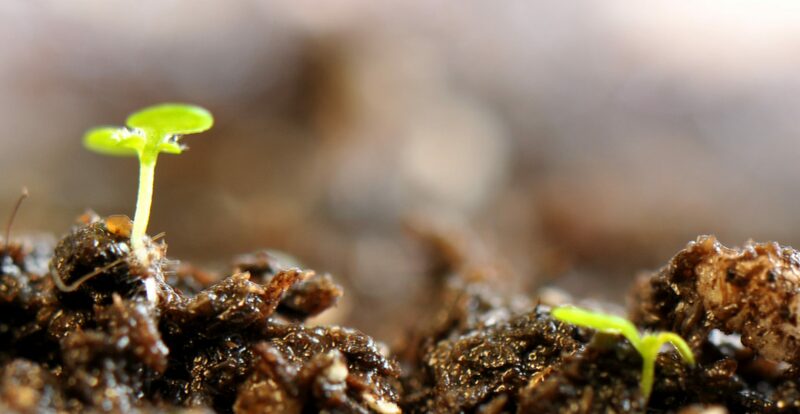 CS22597 is a specific stock of seeds from the HR-10 background – there may be additional seeds stocks from the same background, which is why they are given the unique CS number.